I’m joined by my son, business partner and tireless VRSS18 implementor, Mike Bayer, in an exploration of what we learned in San Antonio this year. There was so much good stuff, from keynotes presented by industry leaders such as Matt Landau, Andrew McConnell and David Angotti, to some amazingly useful workshops on topics ranging from SEO to décor tips; marketing on Instagram to the risks associated with renting. All the workshops were recorded and the main stage presentations videoed so if you missed the Summit, you’ll be able to access all the material in a few weeks time. In this episode, Mike and I explore some of the hot topics such as how the business is evolving and why it’s so important to diversify the marketing strategy – issues that came up over and over during the weekend. 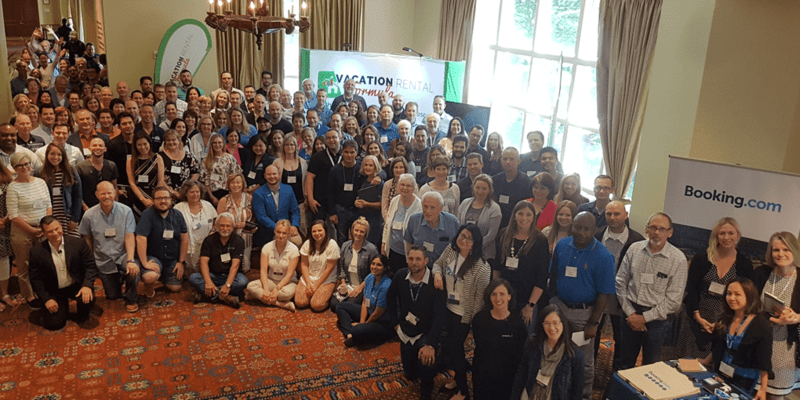 We talk about the nature of Summit attendees and why it’s important not to overlook the potential of all these minds in one place as the leaders of the future. Mike shares his thoughts on overwhelm and how Keynote presenter Brad Martineau gave us some really practical ideas to deal with the multitude of ideas we entrepreneurs have every day. How networking and collaboration and a celebration of Blues transformed the off-season in one Georgia area. Why we need your help to make VRSS19 the best ever!